It's been a total lifesaver for me at work and University where I can't exactly be filling up a hot water bottle or microwaving a heat pack. I usually buy these in bulk when they're on offer in any chemist or you could buy in bulk on Amazon which I also do. I found online they also do a special "menstrual" heat pack but the ones for lower back pain are way cheaper! I use "Period Tracker, My Calendar" which is free on the Play Store and the App Store. I prefer this one over all the others I've tried and I've tried them all at least once. Tracking your period and cycle is the best way to know when you're due yours. I love in the Period Tracker app it also allows you to track moods, symptoms, weight and even can give an alarm to remind you to take you contraceptive pill. The mood and symptom tracking is particularly handy because I've found a pattern in my symptoms in the lead up to and during my cycle. It also gives expected ovulation and fertility dates and also to track when you did the "deed" which could be great if you're trying to get pregnant, or avoid it entirely. Gurl, I am all for treating yourself when the crimson wave arrives. Get a takeaway, relax in your pyjamas, eat your weight in chocolate, cry over soppy movies and pamper yourself! You totally deserve it! I, for example plan on vegetating on my couch and never leaving it except to open the door and get my pizza. If staying in and vegging out isn't your thing, get your friends and go out, do something fun. Make sure you're doing things you enjoy because there's nothing worse than doing something you hate when you hate everything. I know it sounds totally crazy to exercise when you feel like your uterus is literally trying to kill you. But, it kind of works? Yesterday I was at the gym and I started getting cramps and I just ran through them and they honestly weren't bad. A lot of women recommend yoga, pilates or even swimming to help with cramps. Heck, even walking around for a bit could help. Vitamins are really important especially when menstruating. I am the worst at taking vitamins, like ever but taking them especially iron can really help boost your energy levels and make you feel like a functioning human again. This one is a must-have! Take a small little coin purse or anything you fancy and make up a period emergency kit. I like to keep mine in my backpack and just transfer it from bag to bag. I also just include sort of everyday essentials in here too because I might as well have been a scout because I'm always prepared. The best part about these little kits are that you can really customize them to whatever you need or might want. Am I the only one who is permanently exhausted during their time of the month? I always try to get more sleep than I normally would, including naps whenever and wherever I can get them. If you're self conscious of leaking while asleep, lie on an old towel over your bed sheets. It's so much easier than having to change your bed linen every time it happens. Can we talk about how damn expensive period products are? It's beyond unfair. Pads and tampons are so expensive and buying them every month adds up by the end of the year. Option number 1 is invest in a menstrual cup. If you've been hiding under a rock for the past year or so and haven't heard of Menstrual Cups like the MoonCup or DivaCup . Basically, they are inserted in and catch all the blood but you only need to change them at least twice a day. They are reusable, no fear of TSS and are supposedly really comfortable. If you're inclined to do so, they're just cleaned with regular old soap and water. There are two sizes, one for pre childbirth and one for post. Option number 2 which has saved me so much money, is buy pads and tampons in stores like Dealz, Mr. Price and the Euro store. The prices are much cheaper than in big grocery stores or chemists and they usually have them in big packets. It's also great to buy shampoo and conditioner in these stores too because again, same thing but cheaper. So many women start taking the pill not just as a contraception but to help regulate their hormones. The Pill can have many side effects but, it is also known to help lighten flow, ease cramps and ease PMS symptoms. Speak with your doctor about whether the pill is an option for you. There are two main types: a progesterone only pill a.k.a the "mini pill" or the regular pill. Other options include the bar inserted into your arm and IUD's. I'm not a doctor so I'm not going to say anymore on the subject because frankly, I don't know the ins and outs of it. But you should talk to your doctor if you're interested in getting any of these treatments. So those are my best #TwispTips for dealing with your period! It's important to note that this post is no where near medical advice. If you're suffering with severe pain or bleeding or in general worried regarding your period please go see you GP or a doctor. Your health is so important! Don't be embarrassed about going to the doctor, Gynaecologist or even a smear test! These tests can save your life! I hope you enjoyed this and let me know your tips in the comments! 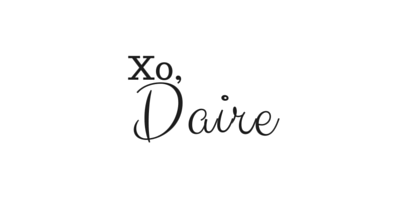 Daire Twisp is a participant in the Amazon Services LLC Associates Program, an affiliate advertising program designed to provide a means for sites to earn advertising fees by advertising and linking to amazon.com. Amazon, the Amazon logo, AmazonSupply, and the AmazonSupply logo are trademarks of Amazon.com, Inc. or its affiliates. These links mean I may recieve a small commission at no extra cost to you.